Hungry for the holidays? Then update your to-bake list because these caramel-almond snowball cookies are simple to make and easy to love. Once preheated, toss chopped almonds on a baking sheet and roast them for 3 to 5 minutes. Set aside to cool. Beat butter, 1/2 cup powdered sugar and vanilla in a large bowl. Add flour to butter mixture in increments, mixing until combined after each addition. After, stir in the toasted almonds a little at a time. Roll cookie dough into 1″ balls, placing them on a non-stick baking sheet. Bake until the bottom edges of the cookies begin to brown (about 15 minutes). Let the cookies cool for 5 minutes, then roll them in the remaining 1/2 cup powdered sugar. After, place them on a wire rack to completely cool. Once cooled, drizzle your caramel of choice over the tops. 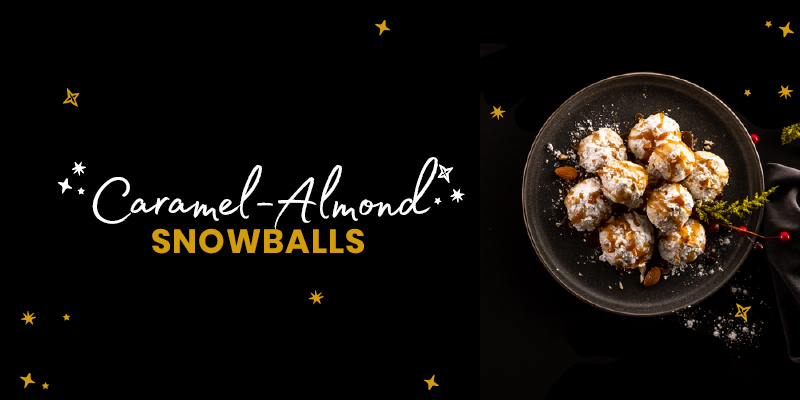 Get everything you need to make our Caramel-Almond Snowballs online or in store!